Appointments are made usually 1-2 weeks in advance, but may be scheduled earlier pending availability. New and Skype clients will be required to pay at the time of scheduling, established local clients may pay at the time of service. Usual available times would be Monday through Friday, 7pm-9pm, or Saturdays 1-6 pm (US Central Time). The location for in-person readings will be disclosed once the appointment is scheduled, as I take my safety very seriously. I require a 48 hour notice for full refund if your appointment needs to be cancelled, or you can choose to reschedule. Any less notice than that doesn’t allow me reasonable time to book another client, and your payment will be forfeited. Of course, I understand that sometimes life throws emergencies at us with no notice, so we may be able to reschedule, on a case by case basis. I reserve the right to refuse reading for those who make a habit out of last-minute rescheduling. Within 48 hours of payment, you will receive your reading as a PDF attachment. The 48 hour period does NOT include Saturdays or Sundays. If you order a reading on Friday Night, you may expect it by the following Tuesday. If you order on Thursday, you can expect your reading by the following Monday. Delivery times may be different depending on demand, but I will let you know in advance if it will take me longer than 48 hours. A Deep Reading may take 72 hours to deliver. You may ask for clarification if something in the reading isn’t quite making sense, but if you ask a whole new follow up question that requires pulling more cards, that would count as a “Follow-up Quick Reading” request. I believe in telling you the truth as I see it in the cards, with tact and empathy when required. I will NOT try to upsell you with shady practices such as “Curse Removal”, or troll you for repeated business. I will not discriminate against you in any way, regardless of race, religious affiliation, gender identity, sexual orientation, socioeconomic status… we are all human, and deserve the same amount of respect. This is a judgment-free zone. I have the highest respect for the privacy of my clients and you can be assured that any information shared with me will be guarded in the strictest confidentiality. Sometimes I’ll use information from a reading as an example in my writings, but all care will be taken to make the client unidentifiable. When you are paying for a reading, you are paying for my time, which can’t be refunded, and therefore payments made are non-refundable as well. I reserve the right to refuse to read for you if I feel your behavior is exhibiting the signs of addiction, and you will receive a full refund. We can’t make the cards change what they are saying just by asking over and over again. We can change our actions in life, and then the cards will change accordingly. I also reserve the right to refuse reading for you if I feel our energies are not a good match, and will offer you a full refund. I want to provide the best service possible, always, so I’ll let you know if I feel I won’t be able to do that for you, and refer you to a trusted colleague. If you are rude or disrespectful, it’s BYE FELICIA for you! I won’t read for you again, and will warn colleagues of your rudeness if asked. This site is for entertainment purposes only, you and you alone are responsible for the decisions that you make. I only read for adults (18 years old and above), or minors with their parent’s permission. I am not a licensed medical practitioner, nor a lawyer, neither am I a licensed therapist or counselor. If I feel your problems require more in-depth and specialized knowledge than I am able to provide, I will let you know, and hope you will heed my advice to seek the professional help needed. My services should never replace those of a licensed medical or legal professional. BY VISITING http://www.intuitiveinsightstarot.com, YOU ARE CONSENTING TO OUR TERMS AND CONDITIONS. The terms “I,” “we,” “us,” and “our” refer to JEN CINTRÓN. The term the “Site” refers to http://www.intuitiveinsightstarot.com. The terms “user,” “you,” and “your” refer to site visitors, customers, and any other users of the site. 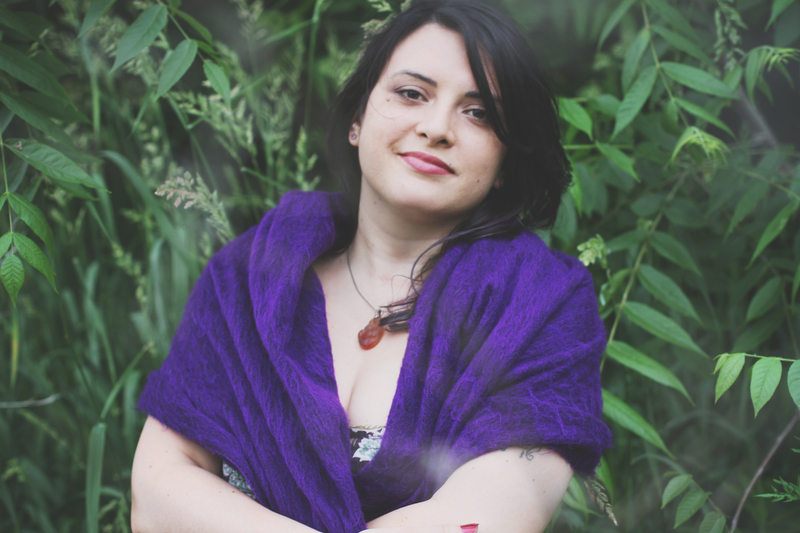 JEN CINTRÓN provides tarot readings via email, phone or in person, privately and at events, she also crafts jewelry by commission. This site also has a blog with information on creative spirituality, with a focus on the Tarot, as well as an advice column, Divined Advice. 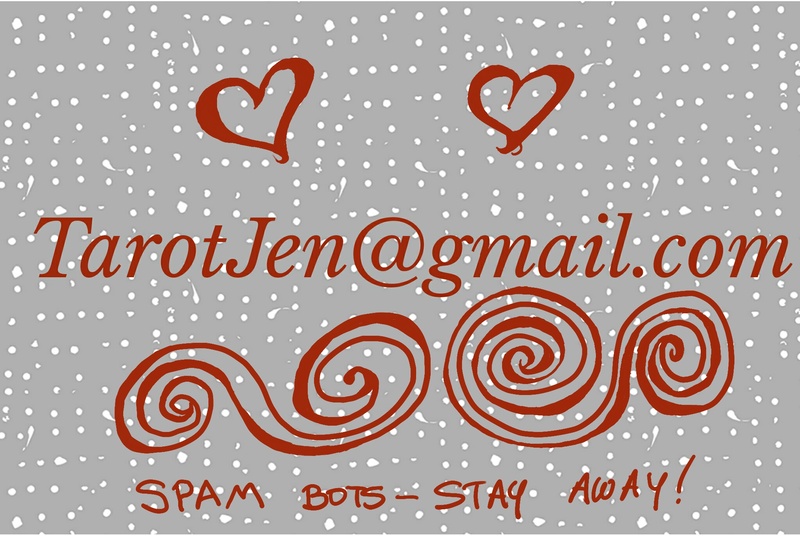 Use of http://www.intuitiveinsightstarot.com, including all materials presented herein and all online services provided by JEN CINTRÓN, is subject to the following Terms and Conditions. These Terms and Conditions apply to all site visitors, customers, and all other users of the site. By using the Site or Service, you agree to these Terms and Conditions, without modification, and acknowledge reading them. To access or use the Site, you must be 18 years of age or older and have the requisite power and authority to enter into these Terms and Conditions. Children under the age of 18 are prohibited from using the Site. Information provided on the Site and in the Service related to tarot readings and jewelry commissions and other information are subject to change. Jen Cintrón makes no representation or warranty that the information provided, regardless of its source (the “Content”), is accurate, complete, reliable, current, or error-free. Jen Cintrón disclaims all liability for any inaccuracy, error, or incompleteness in the Content. In order to use the Service, you may be required to provide information about yourself including your name, email address, username and password, and other personal information. You agree that any registration information you give to Jen Cintrón will always be accurate, correct, and up to date. You must not impersonate someone else or provide account information or an email address other than your own. Your account must not be used for any illegal or unauthorized purpose. You must not, in the use of the Service, violate any laws in your jurisdiction. I offer no refunds for any service, class, or jewelry item. If you need to cancel an appointment, I require a 48 hour notice. If you do not provide a 48 hour notice, your fee for the appointment will be forfeited. In case of an unforeseen emergency, we may be able to reschedule with prompt communication from you. I claim no intellectual property rights over the material you supply to us. You retain copyright and any other rights you may rightfully hold in any content that you submit through the Site or Service. Content you submit to us remains yours to the extent that you have any legal claims therein. You agree to hold us harmless from and against all claims, liabilities, and expenses arising out of any potential or actual copyright or trademark misappropriation or infringement claimed against you. By posting material on the Site, you grant us a worldwide, nonexclusive, irrevocable license to use the material for promotional, business development, and marketing purposes. Submissions to the Divined Advice column may be edited for clarity, and to ensure your anonymity. The Site and Service contain intellectual property owned by Jen Cintrón, including trademarks, copyrights, proprietary information, and other intellectual property. You may not modify, publish, transmit, participate in the transfer or sale of, create derivative works from, distribute, display, reproduce or perform, or in any way exploit in any format whatsoever any of the Site or Service Content or intellectual property, in whole or in part, without our prior written consent. We reserve the right to immediately remove you from the Service, without refund, if you are caught violating this intellectual property policy. YOU AGREE THAT UNDER NO CIRCUMSTANCES SHALL JEN CINTRON BE LIABLE FOR DIRECT, INDIRECT, INCIDENTAL, CONSEQUENTIAL, SPECIAL, PUNITIVE, EXEMPLARY, OR ANY OTHER DAMAGES ARISING OUT OF YOUR USE OF THE SITE OR SERVICE. ADDITIONALLY, JEN CINTRÓN IS NOT LIABLE FOR DAMAGES IN CONNECTION WITH (I) ANY FAILURE OF PERFORMANCE, ERROR, OMISSION, DENIAL OF SERVICE, ATTACK, INTERRUPTION, DELETION, DEFECT, DELAY IN OPERATION OR TRANSMISSION, COMPUTER VIRUS, OR LINE OR SYSTEM FAILURE; (II) LOSS OF REVENUE, ANTICIPATED PROFITS, BUSINESS, SAVINGS, GOODWILL OR DATA; AND (III) THIRD PARTY THEFT OF, DESTRUCTION OF, UNAUTHORIZED ACCESS TO, ALTERATION OF, OR USE OF YOUR INFORMATION OR PROPERTY, REGARDLESS OF OUR NEGLIGENCE, GROSS NEGLIGENCE, FAILURE OF AN ESSENTIAL PURPOSE AND WHETHER SUCH LIABILITY ARISES IN NEGLIGENCE, CONTRACT, TORT, OR ANY OTHER THEORY OF LEGAL LIABILITY. THE FOREGOING APPLIES EVEN IF JEN CINTRÓN HAS BEEN ADVISED OF THE POSSIBILITY OF OR COULD HAVE FORESEEN THE DAMAGES. IN THOSE STATES THAT DO NOT ALLOW THE EXCLUSION OR LIMITATION OF LIABILITY FOR THE DAMAGES, OUR LIABILITY IS LIMITED TO THE FULLEST POSSIBLE EXTENT PERMITTED BY LAW. IN NO EVENT SHALL JEN CINTRÓN’S CUMULATIVE LIABILITY TO YOU EXCEED THE TOTAL PURCHASE PRICE OF THE SERVICE YOU HAVE PURCHASED FROM JEN CINTRÓN, AND IF NO PURCHASE HAS BEEN MADE BY YOU, JEN CINTRÓN’S CUMULATIVE LIABILITY TO YOU SHALL NOT EXCEED $100. The Site and the Service contain links to third party websites and resources. You acknowledge and agree that we are not responsible or liable for the availability, accuracy, content, or policies of third party websites or resources. Links to such websites or resources do not imply any endorsement by or affiliation with us. You acknowledge sole responsibility for and assume all risk arising from your use of any such websites or resources. 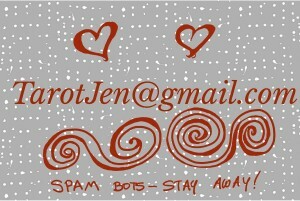 Some blog posts may contain affiliate links (ex: from Amazon.com), which may give a small compensation to Jen Cintrón, and they will be labeled as such. This Agreement constitutes the entire agreement between you and Jen Cintrón pertaining to the Site and Service and supersedes all prior and contemporaneous agreements, representations, and understandings between us. No waiver of any of the provisions of this Agreement by Jen Cintrón shall be deemed, or shall constitute, a waiver of any other provision, whether or not similar, nor shall any waiver constitute a continuing waiver. No waiver shall be binding unless executed in writing by Jen Cintrón. This Agreement shall be construed in accordance with, and governed by, the laws of the State of Wisconsin as applied to contracts that are executed and performed entirely in Wisconsin. The exclusive venue for any arbitration or court proceeding based on or arising out of this Agreement shall be Milwaukee County, Wisconsin. The parties agree to attempt to resolve any dispute, claim, or controversy arising out of or relating to this Agreement by mediation, which shall be conducted under the then current mediation procedures of The CPR Institute for Conflict Prevention & Resolution or any other procedure upon which the parties may agree. The parties further agree that their respective good faith participation in mediation is a condition precedent to pursuing any other available legal or equitable remedy, including litigation, arbitration, or other dispute resolution procedures.